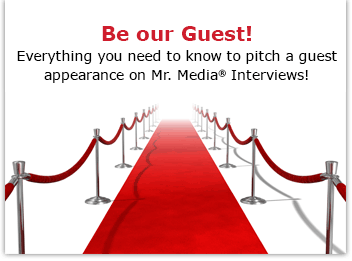 Watch this exclusive Mr. Media interview with sportswriter Peter Golenbock, co-author of They Called Me God: The Best Umpire Who Ever Lived with retired MLB umpire Doug Harvey by clicking on the video player above! Mr. Media is recorded live before a studio audience of Tampa Bay Rays fans who wanna know when Peter Golenbock will write the definitive book about their mascots, Joe Maddon and Raymond… in the NEW new media capital of the world… St. Petersburg, Florida! They Called Me God by Doug Harvey and Peter Golenbock. Order your copy today by clicking on the book cover above! My friend Peter Golenbock has written sports histories and biographies and co-authored memoirs with a lot of guys who see the world as black and white. I suspect that in helping long-time Major League Baseball umpire Doug Harvey tell his story, it might have been the first time he did a book with someone who dressed that way as well. In They Called Me God: The Best Umpire Who Ever Lived, Golenbock goes over to baseball’s great unknown, a land where every decision is absolute – and for good reason. Can you imagine a world where an MLB umpire showed hesitation or a lack of uncertainy? Doug Harvey’s personal story here is less compelling than his insight to baseball’s little revealed world of officiating. His stories of on-the-field behavior and his explanation of how he moved through the grand old pastime for decades was utterly fascinating, helped along by Golenbock’s expert storytelling. This is Golenbock’s record fifth interview on Mr. Media – and that’s not just a function of proximity, although we do both live in St. Petersburg, Florida. The first time was at his dining room table, to talk about his controversial semi-fiction about Marilyn Monroe and The Mick, 7: The Mickey Mantle Novel. Since then we’ve done one by phone, one at a live on location show at JoEllen Schilke’s now-defunct Globe Coffee Lounge, and now we’re finally doing this one via video. Tampa Bay Times calls Stadium For Rent (Second Edition) “Notable” for 2015 baseball season! Introduction by Peter Golenbock! Stadium For Rent: Tampa Bay’s Quest for Major League Baseball by Bob Andelman. Order your copy today by clicking on the book cover above!